Since morning, I decided to devote my day to writing about the most inspiring personality who added some unforgettable page in Indian history. The man is an institution within itself. The World already know him, but it is worthy of him that I should focus some light on his blazing personality that has put the entire globe into its arena through my website so that those who yet don't know about him can gain some inspirations from this man. 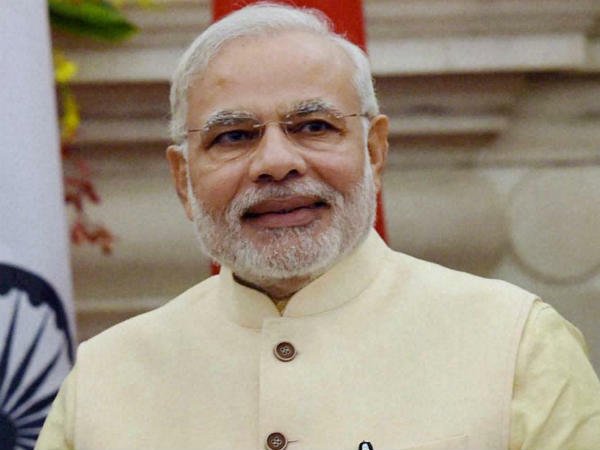 The name is none other than Mr Narendra Modi, the honourable Prime Minister of the Republic of India. This is the name of a man who started the journey of his life through a small tea stall in Gujarat ( India ) and now serving India by sitting in the most respected and renowned chair of country's Prime Minister. Through this article, I'm only intended to drag the kind attentions of my viewers towards his extraordinary quests and achievements in life so that we all can gain some fair motivations to do something different in life. Apart from holding the incumbent chair of India's Prime Minister, he is also the most prestigious party member of Bharatiya Janata Party( BJP ) plus elected as MP from Varanasi ( Uttar Pradesh, India ) in the year 2014. He used to feed an only dream into his eyes every morning of making India developed and for achieving the same, he devoted his entire life to the welfare of his country and its people. Whether its a party rally for elections or a routine visit to another country, crowd used to chant his name all around and due to his immense popularity among people, he never lacks crowds in his visits. Since he elected as the PM of India, never rested for a while and along with his trusted personnel and cabinet ministers, working late nights to make paper plans alive and implemented. The most sought after the plan of his governance is "Make in India Campaign" which is all about inviting the overseas companies to manufacture their products in factories and plants located in India. This vision of our honourable PM is aiming at generating employment opportunities for the youth of Indian youth and accelerating economic growth by strengthening Indian manufacturing sector. For PM Modi, Make in India is not just about ‘FDI’ in the sense of ‘Foreign Direct Investment’ but it also means ‘First Develop India’. He is targeting at 25 of the most crucial sectors of the Indian economy including renewable energy, electronics, biotechnology, mining, design manufacturing, automobiles, auto components, chemicals, railways, IT, hospitality, pharmaceuticals, tourism, aviation and textiles. Digital India and smart cities are some of his plans that can definitely India to the main stream. It is really unquestionable that this man is only here to make India self-sufficient and developed. Political Backdrops of Prime Minister Narendra Modi can be traced from that very point when he met Shree Lakshmanrao Inamdar, popularly known as Vakil Saheb while attending local meetings of RSS (Rashtriya Swayamsevak Sangh ). He was just 8 years old at that time when shree Lakshmanrao Inamdar had appointed him as balswayamsevak ( Junior Cadet ). a ) In 1988, became the General Secretary of the BJP's Gujarat unit. b ) Recognised as a key strategist for being instrumental in successfully campaigning for the party in the 1995 and 1998 Gujarat Elections, which led BJP to become the ruling party of the state of Gujarat. c ) Successfully organised two challenging events on the national level: 1) Somnath to Ayodhya Rath Yatra, a long march by L. K. Advani and 2) a march from Kanyakumari (southern tip of India) to Kashmir (the northern tip undertaken by Murli Manohar Joshi. These two events are considered to have contributed in bringing BJP to power in 1998.
d ) In 1995, Narendra Modi was appointed as the Secretary of the BJP's national unit. e ) Narendra Modi was credited for having successfully carried out the responsibility of revamping the party organisation in different states. 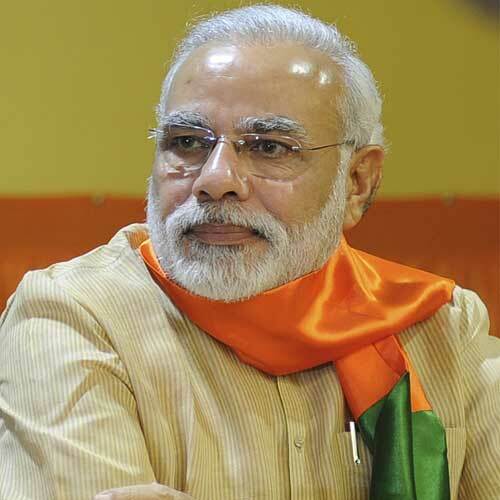 f ) In 1998, Narendra Modi was promoted as General Secretary and held the position until October 2001.
g ) Narendra Modi became the Chief Minister of the state of Gujarat for the first time in October 2001 after his predecessor Keshubhai Patel resigned from the post following the defeat of BJP in the by-elections.